Sukiyaki is a Japanese dish which is usually served with meat, but this vegan version is equally hearty and delicious. Here's how to make it. 1. Heat one large deep pan or wok over medium-high heat. 2. Combine the mirin, sake, soy and sugar in a bowl and set aside. 3. Place spring onions and coconut oil in the pan. Sauté for a minute, then add one cup of the sake mixture. 4. Add the mushrooms, pak choi and cabbage to the pan. In the meantime, soak the vermicelli noodles in water for five minutes. Then add to the pan with the vegetables. 5. Add the rest of the sake mixture and cook for a further five minutes. 6. 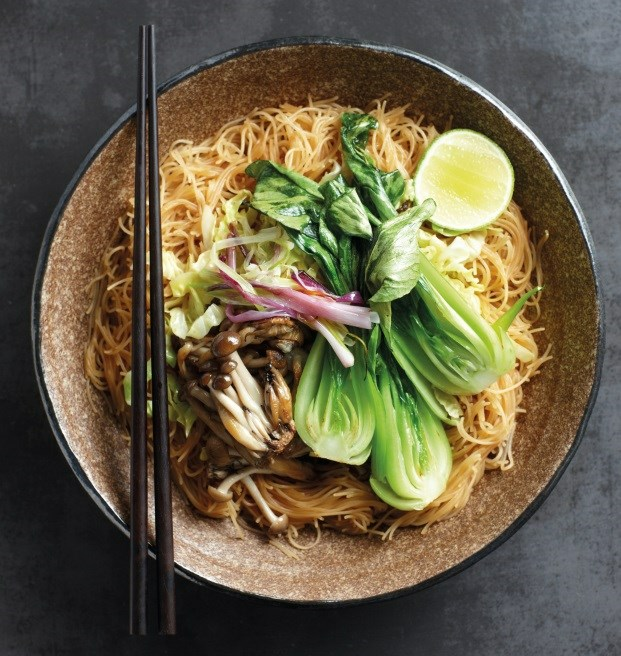 Serve noodle mix with fresh coriander and a squeeze of lime juice. *You can add tofu to this dish for extra protein. Just sauté in the beginning before the spring onions.